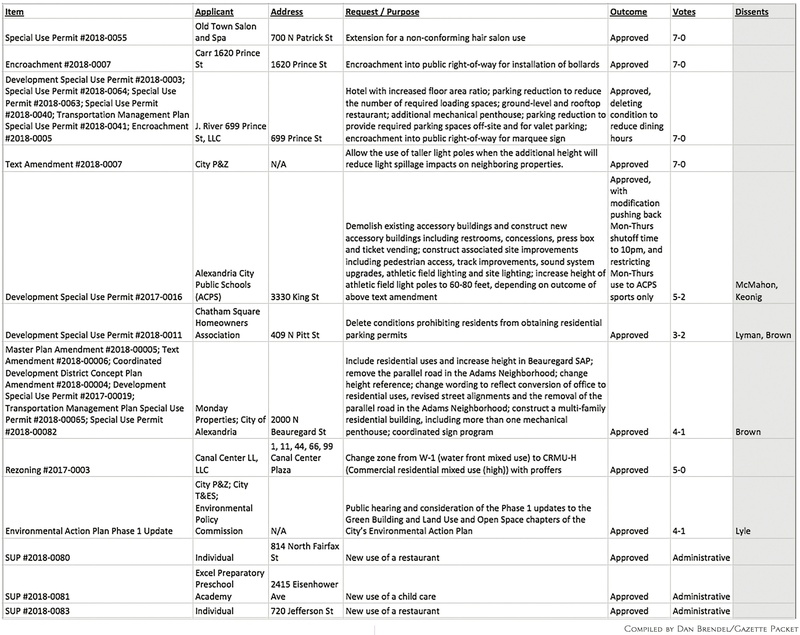 Here’s what the Planning Commission decided at its October meeting, held over two days, Tuesday, Oct. 2 and Thursday, Oct. 4. Commissioners Maria Wasowski and Stephen Koenig were absent at Thursday’s continuation. For more information, visit www.alexandriava.gov/Planning.